David started working at the store, founded in 1955 by his father, Joseph Z. Schoeneman, and his uncle, Joe Schoeneman, at the tender age of 7. He swept floors, cleaned the glass, and polished the shoes that were in pawn. Since 1989, he has been operating the store, located 25 miles south of Chicago, with his wife, Carmencita, a former CPA. A Graduate Gemologist with a focus on loose diamonds, David transitioned the company from a full-line pawn store to a jewelry-only operation in 2007. National Pawnbroker (NP): What differentiates Shane’s from the other pawn shops in your area? David Schoeneman (DS): As a jewelry-only shop, we are constantly training our staff in the fine details of diamond grading, authenticating precious metals, and recognizing genuine higher-end watches. We stress superior customer service. The store is clean and well-lit, and the atmosphere brings in pawn customers and buyers from many surrounding communities. NP: In your opinion, what are the greatest challenges facing pawnbrokers today? DS: First and foremost, the ever-changing political and legislative instability in our country creates an unstable business environment. The inability of local and national legislators to understand our industry continues to plague us. While we’ve made a lot of progress, we still have an uphill battle to fight on the image front. I urge all pawnbrokers, members and non-members alike, to keep their stores well-lit, neat, and tidy. It may not seem like much to you, but you do truly only get one chance to make a first impression. NP: What advice would you give to someone starting out in the pawn industry? DS: Get to know everyone you can and learn everything you can from their failures and successes. Know your alderman, mayor, chief of police, state representatives, and state senators as well as building and electrical inspectors. They are all potential customers and allies. 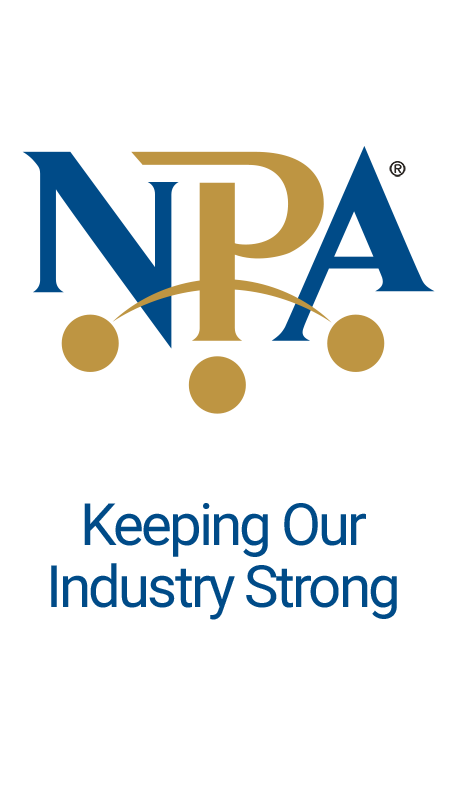 Join your local, state, and national pawnbrokers’ associations. Join other professional associations as well. Know the details about your insurance policy. Ask your agent questions and assume nothing. What is the rating on your safes? What does your alarm contract cover? Train yourself and your staff in all the nuances of the product mix you choose to carry, whether diamonds or game systems. Do promotions within your community, i.e. support a Little League team, July 4th parade, etc. NP: What are some of the marketing techniques you have used in your business? DS: We have run cable TV (most expensive and most successful), radio (least successful), billboards (most fun and controversial). We give away private label water and promotional items, Pawn Bucks with each loan and each interest payment, and a finder’s fee/commission up to $100. We speak at Lions Club International, Rotary Club, 4H, church groups, and senior citizen groups. We once ran a promotion that if we had five inches of snow on New Year’s Day, your purchase in December was free. NP: How do you give back to the community? DS: We support two local food pantries, provide backpacks with school supplies to local schools, help underwrite the fireworks display on July 4th, and sponsor a Little League team as well as a local art gallery. DS: There are so many quirky events in this business I don’t know where to start. We loved the guy who pulled up in a new Cadillac Escalade with the sticker still in the window who needed to pawn something to get gas for the car. After pawning his ring (but before he left the store), he put a diamond ring on layaway! NP: Why are you a member of the NPA? DS: There are so many reasons. I have been lobbying in Washington, DC, four times and learned about the interaction between government and the governed. I have learned more in tips and shared ideas from other pawnbrokers and seminars I have attended than I can express in one article. Over the 25 years I have belonged to my state and national associations, my membership has earned me several hundred thousand dollars.